Genuine OEM Xerox Maintenance Kit, 10,000 page yield. Includes roller, counter, and tray. Xerox part number: 108R00675. 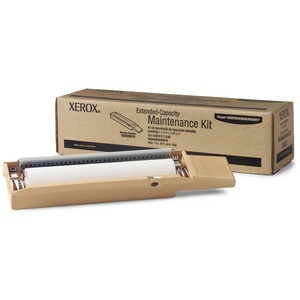 Maintenance Kit compatible with Xerox Phaser 8500, 8550, 8560. Works great to keep printer functioning at its best. Put it in and forget it for 10k pages! anyone with this type of printer like the Phaser 8560 series. The product shipped quickly and has worked without a problem.